It’s gotten so much warmer in Dublin. It’s soooo super exciting! 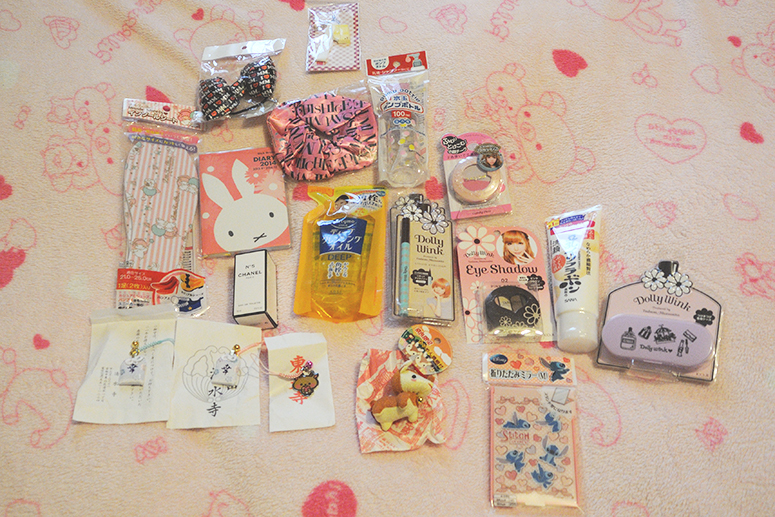 One of my commenters asked for my makeup haul from my trip in Japan 2013. Unfortunately, I didn’t get a whole lot, hahaha. 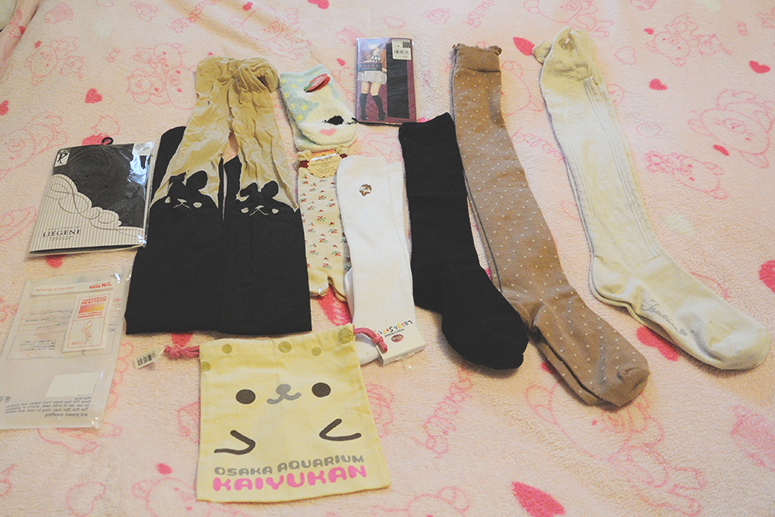 I will just show you everything cute I got! Make up and cute things! I got a re-supply of Dolly Wink items… Especially my favorite Dolly Wink eyeliner! Can you see the 2 charms on the bottom left of the picture? It’s a charm I bought for me and a.! It will bring us happiness as a couple! Many temples in Japan sell these kind of charms. I sure hope that it works, hahaha. 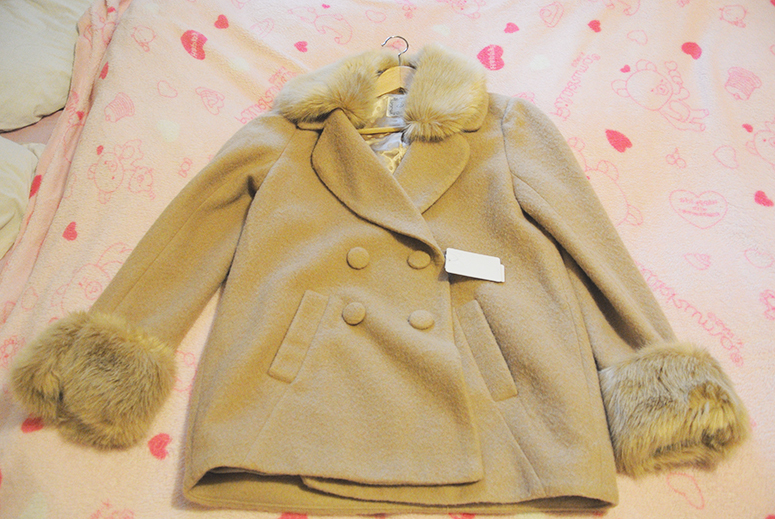 A lovely coat I got! The fur is removable. I got it for less than $30 USD… I think, haha. I really love the library bear skirt! I wear it often. And 2 pairs of shoes I got! I love the heels, but they are tooooo high, hahaha. I’m very unlady like in this regard..
And I got school girl loafers! They are so uncomfortable. I got really bad blisters on my ankles wearing them. I saw many Japanese girls wear them with the backs of the shoe completely flattened and now I can understand why.. 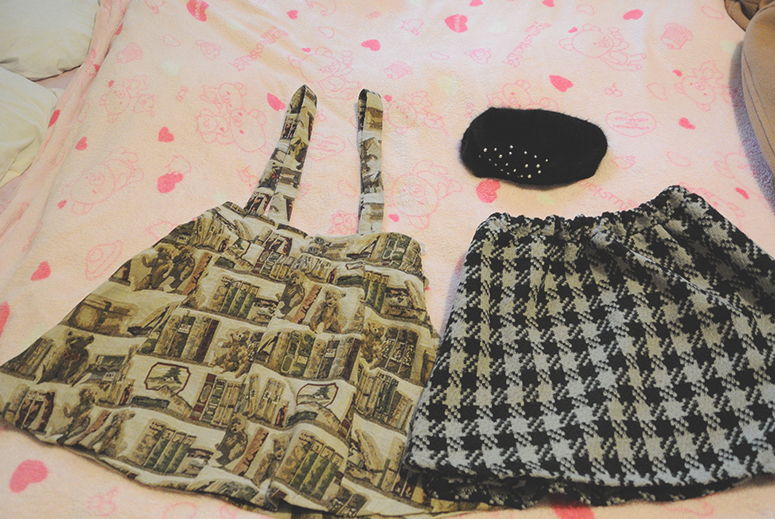 I feel like I got so little items…! I think that I am too frugal.. I hope I can bring myself to spend more on my next trip because who knows the next time I will go! 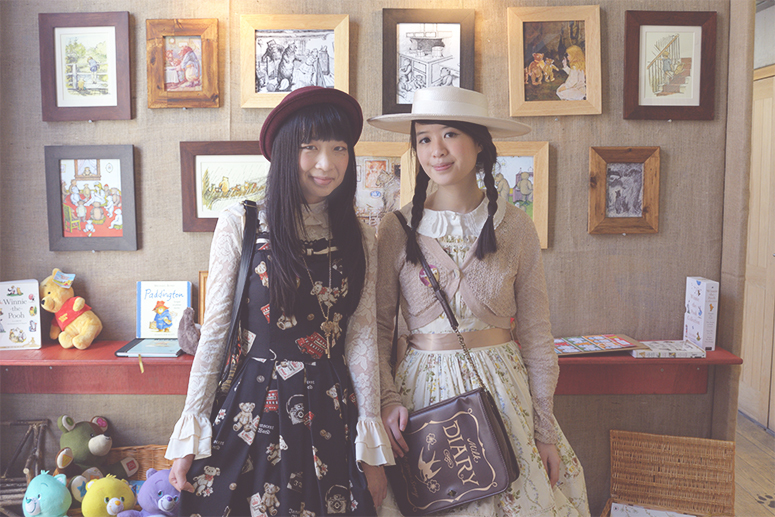 Last weekend, my friend and I went to a Teddy Bear exhibition! They had many teddy bears on display from many time periods. They had Irish bears, German bears, French bears, etc! I got so excited I think I want to start a teddy bear collection, hahaha. Unfortunately I couldn’t take a pictures of them as most of them were in a very dark room to preserve them. But here’s a picture of us in the story book room! I wore my teddy bear dress again! P.S. I was unable to buy the Morning Musume concert tickets. It seems they love to reject foreign credit cards. I will have to buy them at a ridiculous markup when I am in Tokyo. In other news though! I was able to buy the Morning Musume box set for their newest single Toki o Koe Sora o Koe / Password is 0! Why is the such good news? Well.. the box set enables me to take a picture with one of the members Iikubo Haruna or Oda Sakura.